New Gas Boiler. 5 Things to do before Buying. New Gas Boiler. 5 Things to do before Buying. Buying a new gas boiler? Here are 5 things to think about beforehand. It may be in need of repair or just old and inefficient. Whatever the reason, buying a new or replacement gas boiler takes a bit of forethought. If you are doing this for the first time, then these 5 tips for buying a new gas boiler should make things a little easier – and maybe save you some money. 1) What type of boiler do you need? If you have a smaller property (1 bathroom) and low (ish) hot water demands, then a Combi boiler can do the job. It provides “instant” hot water, is relatively simple to install and takes up very little space. If you have a larger home (2 or more bathrooms) then a System boiler will be more suited as it can cope with the higher simultaneous hot water demands (and run the central heating). A conventional boiler can also meet high demand, but you will need space for a water storage tank. You should also consider the actual dimensions of the boilers (physical size) to see whether it can fit in the space you have available. 2) Is it just a boiler you need? With an old system, it can also be the case that your existing plumbing and/or your electrics are not up to the task of dealing with a modern boiler. However, you may not have to replace the pipes. In a lot if instances a good “power flush” can clean out years of dirt from older plumbing and get it back into shape. Don’t be “blinded” by any cheap boiler deals on offer. A low priced boiler deal may seem attractive on upfront price, but what about aftercare? It’s important to have a solid guarantee and warranty. Boilers also need to be serviced regularly to keep them in “tip-top” condition. Take a good look at what you get for your money before deciding to buy. It’s not unreasonable to buy on price alone, but “act in haste & repent at leisure” is the thing to remember here. Which.co.uk have done a survey that highlights reliability issues. They say that 63% of the most reliable brand of boiler will be fault free after almost 7 years. Whereas only 45% of the least reliable brands will be fault free over the same time period. If you have a checklist, it can not only help you remember what you need to remember, it also makes comparing alternatives easier. Judging each product by the same criteria. What type of boiler is on offer? What is included in the fitting (removal and disposal of old boiler for example). Workmanship warranty – how long is it & what is included? What aftercare / servicing is included in the price? 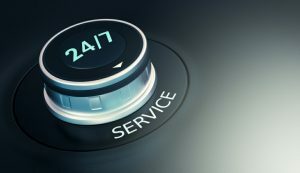 If a service contract is offered, what is the cost and what is included? 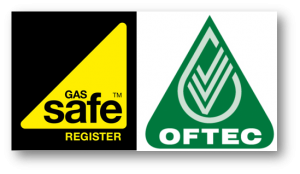 Is the installer “Gas Safe” registered. Is the installer incentivised to promote a certain brand or type of boiler or independent? How long has the supplier / installer been trading and can they supply references from customers? Don’t be shy about adding more items to the list if you think of something else that is particularly relevant to your circumstances. Whilst you can go out and buy a boiler direct from a supplier and then have it fitted separately, this is NOT a DIY job (unless you are a certified gas engineer yourself). Get quotations from different companies, at least 4 or 5. This will give you a good idea of the prevailing market gas boiler prices and what products can fit the bill for you. The surveyor/ engineer who comes to do the quotation can be a very valuable source of information and guidance in this process. The more you speak to them, the better informed decision you will be able to make. Ask anybody who has had their boiler break down and they are likely to tell you that it could not have happened at a worse time – its classic Murphys’ Law (https://en.wikiquote.org/wiki/Murphy%27s_law ) and even some folks say Murphy was an optimist. What that means to you, is that doing your homework and making an informed decision after due consideration can mean you end up buying a reliable, energy efficient, cost effective and value for money Gas boiler. Get your free new gas boiler comparison quotes here: Compare Prices.